The benefits of massage go far beyond easing sore muscles. Sometimes called relaxing Swedish massage or gentle Swedish massage, a relaxation massage uses long kneading motions, comfortable levels of pressure, and general atmosphere to bring you peace on a whole body level. Everything from your skin to your digestive system benefits from regular hands-on treatments like this. The point, as the name implies, is to bring you the ultimate in calm and wellness. 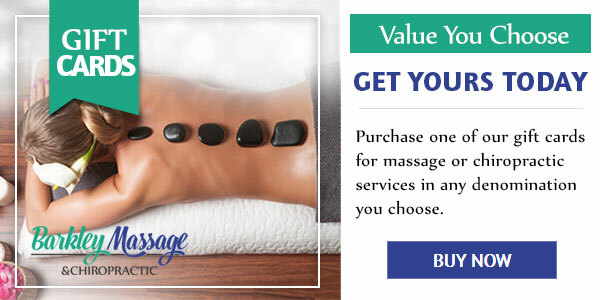 You will leave your massage feeling not only looser and more serene, but happier overall. Our skilled massage therapists work with your body to release endorphins that bring you feelings of joy while boosting your immune system. You also look happier and healthier due to increased blood circulation, and the resulting skin glow comes from the higher levels of oxygen being fed to this area, the largest organ in your body. Chase away the blues and release the tension and anxiety life seems to be throwing your way. A relaxation massage is just the remedy. Other types of massage may concentrate on everything from injury healing to pain relief. This specialized massage technique has one aim, to help you relax. Because massage is such an amazing tool for total body and health rejuvenation, we even offer wellness massage packages. 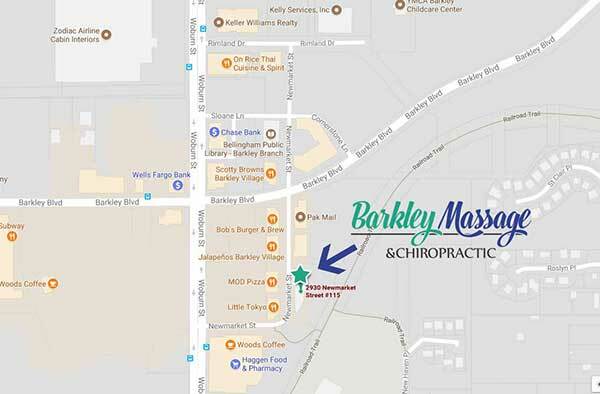 Take care of yourself today with a relaxation massage from Barkley Massage & Chiropractic in Bellingham. Step out of your busy world and into your sanctuary, right here in Bellingham. Interested in both massage and chiropractic for an integrated approach to a healthy lifestyle? We offer easy online scheduling and appointment availability seven days a week, making us your convenient choice. We look forward to hearing from you soon.